Being a parent is tough. For some reason, the moment kids decide to assert their authority is often the moment they are being asked to brush their teeth. If you thought you were the only parent to experience this, you should know you’re certainly not alone. All toddlers test their boundaries in an effort to figure out exactly how the world works. Despite the fact that dental care may be a favorite act of defiance, it’s still important for parents to remember that brushing teeth is not an optional activity, even for very young children. In addition to routine visits to an affordable dentist in Virginia, tooth brushing is essential for preventing tooth decay, reducing the risk of gum disease, and setting your child up for lifelong healthy dental care habits. 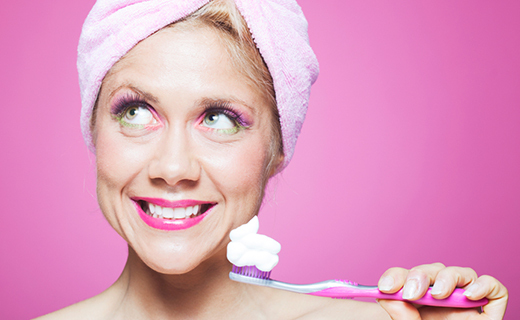 Use these tips to turn tooth brushing into an art form (well, almost). Make brushing fun from the outset. Allow them to pick out their own toothbrush and toothpaste so they feel as if they are in control of brushing. They may pick a toothbrush that has their favorite character on it and then look forward to brushing. Make it a game. Pretend to search for hidden food in your child’s mouth: “Where are the eggs you ate for breakfast? They must be in here somewhere!” Make it silly and fun for your child. Play music. Music will create a fun ambiance and you can use the music to ensure your child brushes for the recommended two minutes. Include a friend. Involve your child’s favorite doll or stuffed animal in tooth brushing. Allow your child to brush their toy’s teeth as well. Include the whole family. When your child brushes, you should brush, too. If siblings and your spouse are available, the whole family can brush together. Schedule brushing times strategically. Schedule brushing before a desirable activity, such as story time. Associating tooth brushing with activities your kids look forward to will improve the chances that they will brush without resistance. Be consistent. Schedule tooth brushing for the same time each night so your child will know what to expect and you can better instill the dental care routine. Set an example. Children will mimic almost everything you do. If you practice good oral hygiene, your child will too. Be enthusiastic about dental care and share that with your child—including visits to an affordable dentist in Virginia. Give rewards. Reward your child with a sticker each time they brush their teeth without a fuss. Set a goal to earn a prize, such as an extra bedtime story one night.